James Bellini is a Historian of the Future, an Ecological Issues Commentator, a Broadcaster, Facilitator, Host, Presenter and Keynote Business Speaker. Dr Bellini is a leading futurologist and author with a considerable reputation as a thought-provoking speaker and moderator at top-level management conferences and business schools around the world. 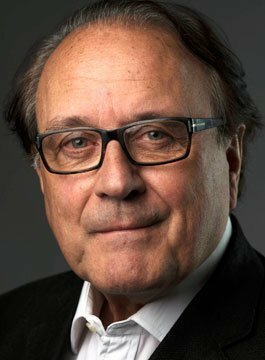 Bellini has spent more than twenty-five years as a respected TV broadcaster, futures analyst and writer with a strong focus on social, economic and technological trends up to Horizon 2025. After an early academic career James Bellini joined the US-headquartered futurology ‘think tank’, the Hudson Institute, as its first British member. He subsequently moved to the BBC to present ‘The Money Programme’, ‘Newsnight’ and ‘Panorama’, and then to independent television as presenter, writer and narrator of a wide range of award-winning documentary series, current affairs programmes and environmental reports. Accolades include the Shell Cawston Prize, the Golden Nymph Prize and the Prince Rainier III Prize at the Monte Carlo International TV Festival and a UN award for the twelve-part series ‘The Nuclear Age’. For seven years he was a studio presenter with Financial Times Television and Sky News. James has written many books and special reports and is a regular contributor to leading publications. He has also held senior executive positions in corporate communications and served on the European Advisory Board of The Global Future Forum. He is a member of the British Academy of Film and Television Arts. Dr Bellini has a Masters in law and history from Cambridge and a PhD from the London School of Economics. In January 2007 he was elected Fellow of the World Innovation Foundation, founded by Nobel Laureate Glenn Theodore Seaborg. Our post-carbon future – what impact on our lifestyle? Bellini has long been active as a writer and commentator on ecological and other issues affecting our future as citizens of planet Earth. His pioneering book ‘High Tech Holocaust’, published in 1987, charted the increasing toxicity of our human habitat. It was published in separate editions in the UK, US, Australia / New Zealand and Japan. He has also written and hosted many TV programmes on the environment, including several years as presenter of ‘Eco’ for ITV and ‘Go for Green’ for British Satellite Broadcasting. His narration of the TV documentary ‘Chernobyl’ was awarded the Golden Nymph Prize and the Prince Rainier III Prize at the Monte Carlo International TV Festival. The twelve-part series ‘The Nuclear Age’, which he scripted and narrated, gained a special UN award. His script consultancy work has involved him with the Television Trust for the Environment and its long-running TV series Earth Report and Hands On. He has a long-standing association with the International Institute for Environment and Development [IIED] and was commissioned by them to research and write an Opinion on the land rights of pastoral Maasai communities in Tanzania. James Bellini has a strong interest in the implications for the 21st leadership agenda of the debate on global climate change, sustainable business practices and the carbon footprint impact of corporate activities. As a futurist he works to explore the social and economic dimensions of building a post-carbon economy. Considerable experience as a TV studio anchorman and a wide understanding of business and technology issues make James Bellini a regular choice as moderator for high-level conferences for corporations, industry associations and governments around the world.